" click here to register. 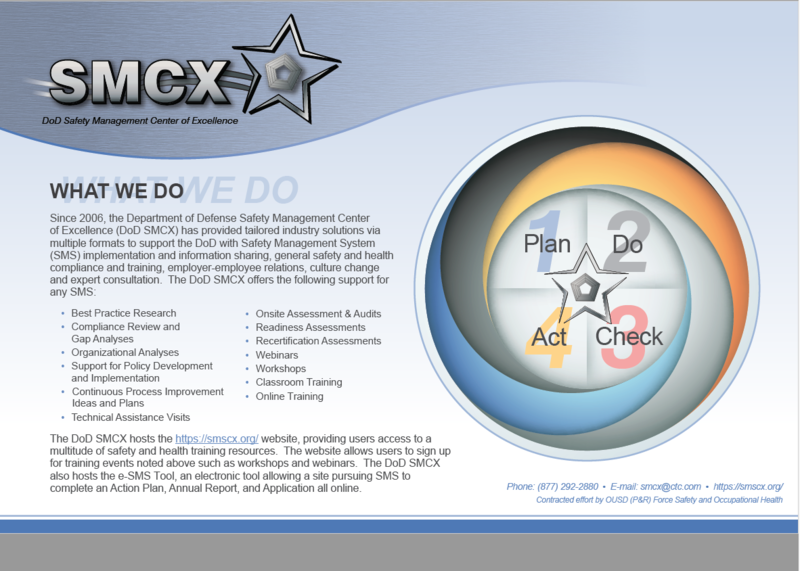 As of March 1, 2019, 144 Department of Defense sites achieved an active Star recognition, and the SMCX recently estimated $16.7M in annual cost savings due to reduced incidents based on data from the nearly 400 active Star or In-Progress sites being supported by the SMCX. 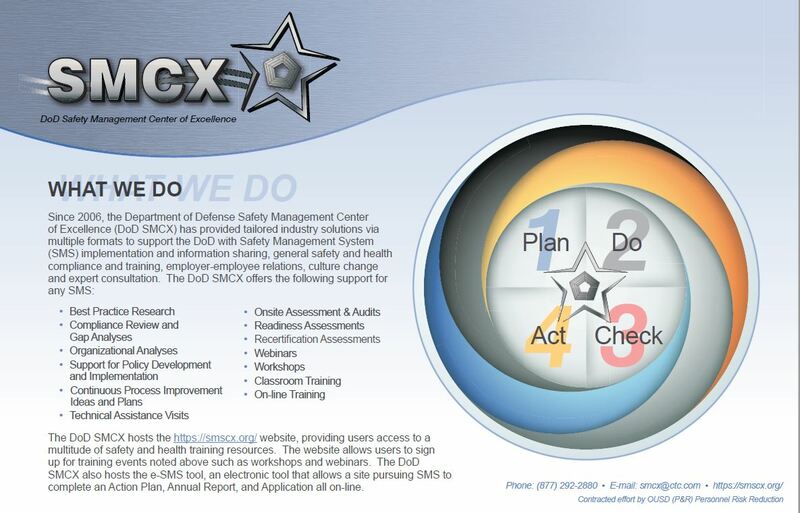 In a statement released 19 May 2003, the Secretary of Defense challenged DoD to improve its safety record stating that "World class organizations do not tolerate preventable accidents." 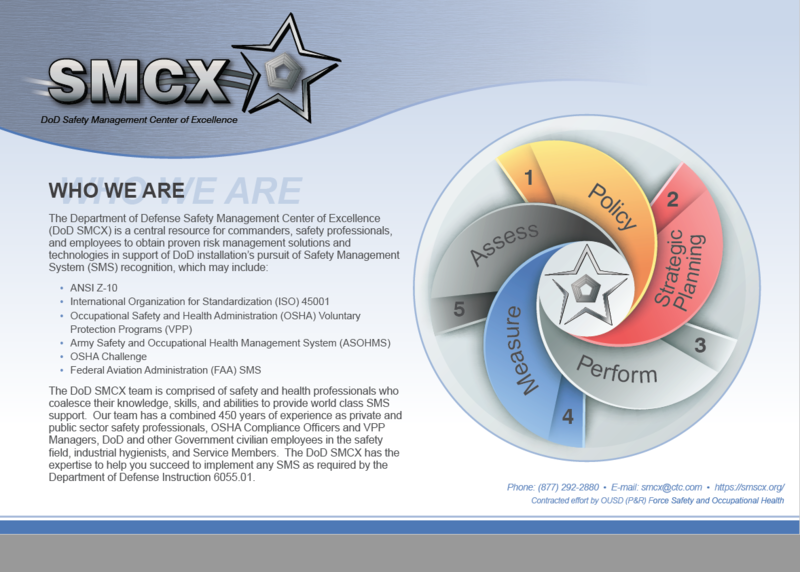 In 2005, the Secretary of Defense issued a new challenge to reduce mishaps 75% by Fiscal Year 2008. The Occupational Safety and Health Administration's (OSHA's) Voluntary Protection Programs (VPP) have proven to be highly effective in reducing organizations' incident rates and lost work days. 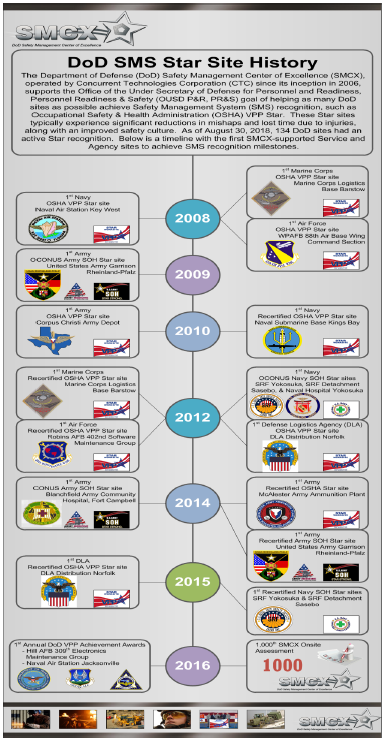 Military departments, agencies and installations participating in the VPP process should not only expect an improved safety record but also an overall improved readiness. 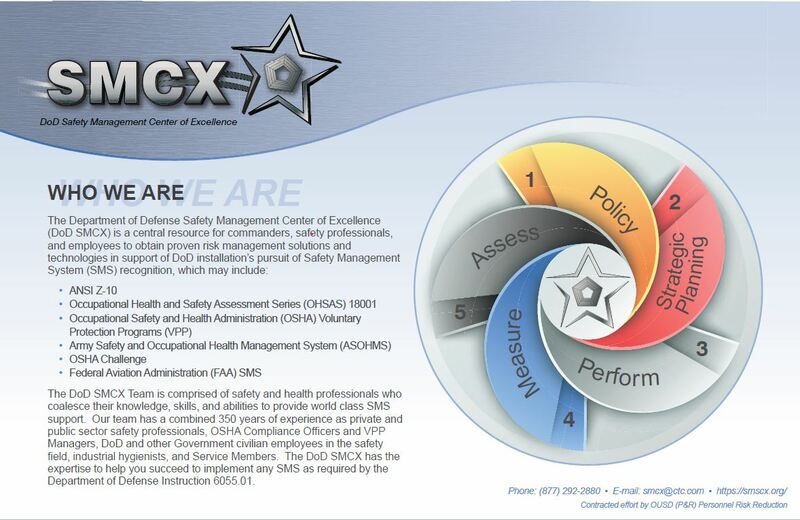 OSD established the DoD VPP Center of Excellence (VPP CX), now called the Safety Management Center of Excellence (SMCX), to support nominated installations with achieving and maintaining exemplary Safety Management Systems (SMS), such as OSHA VPP. 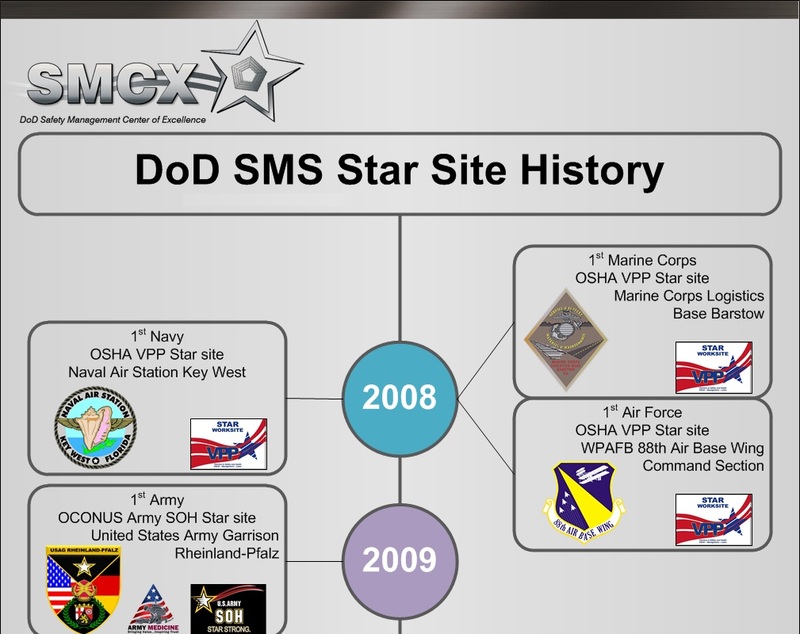 The DoD SMCX provides on-site and remote assistance and training to nominated installations in support of their SMS efforts.